It comes as a surprise to many of our visitors that quite often Koalas can be found in trees close to the ferry. It's easy to enjoy the koalas - leave your car on the mainland, and come across as a pedestrian on the ferry (it's FREE). Look up as you reach our Island and just beyond our Ferry shed you may find one of our furry citizens. Sometimes they can be seen in the trees near the water’s edge by the car park. Koalas change trees during the day as well as at night, so you may see them walking along the roads. 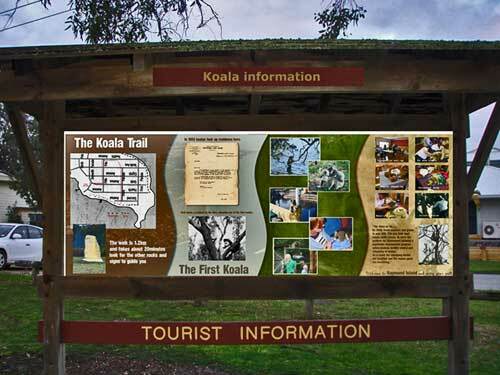 Keep up to date with Shelter reports on the Koala and Wildlife Shelter web site. The Islanders have created a Koala Trail. As you come off the ferry look for the Tourist Information Board in the park. This will guide you along the trail, an easy 1.2 km walk starting in the ferry park. 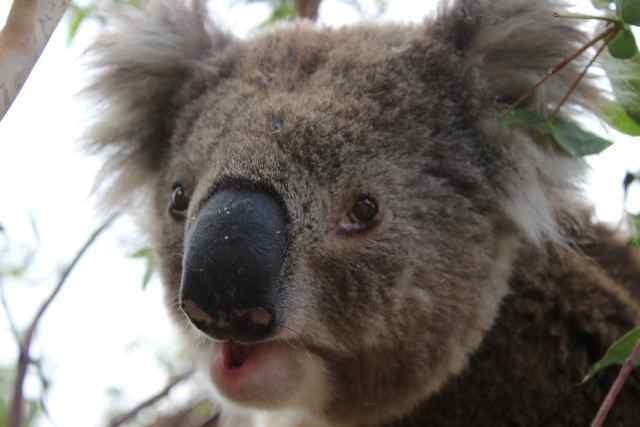 To conserve these animals, koalas were introduced to Phillip Island in 1920. 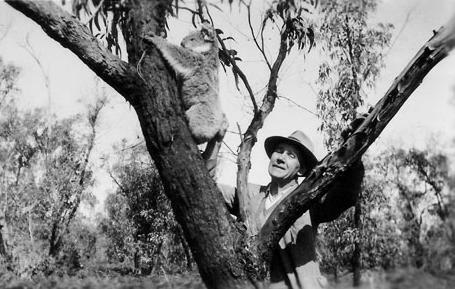 A consignment of 32 koalas was sent from Phillip Island to Raymond Island on 25 September 1953 - and released by Fred Jones. The population has flourished. Koalas drink during the hot dry weather. Please remember to put out a shallow water bowl for the koalas and other wildlife. In 1778, koalas were found from Queensland to South Australia. 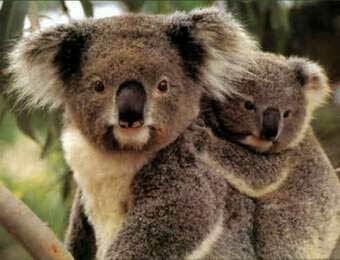 From the 1800s fire, disease, clearing and the fur trade were so devastating that by 1925 the koala was nearly extinct. How much can koalas bear? Koalas may look cuddly like bears but they are marsupials and are not related. Living with koalas is a privilege and a responsibility. Luckily, there are some simple things you can do to give your local koalas a helping hand. Islanders share their experiences of living with koalas. Our challenge is to protect our local wildlife to keep healthy populations for the future. And remember to leave a shallow bowl of water in the garden during hot days for koalas and other wildlife to drink. Koalas are marsupials and are not related to bears. Our challenge is to protect our local wildlife.